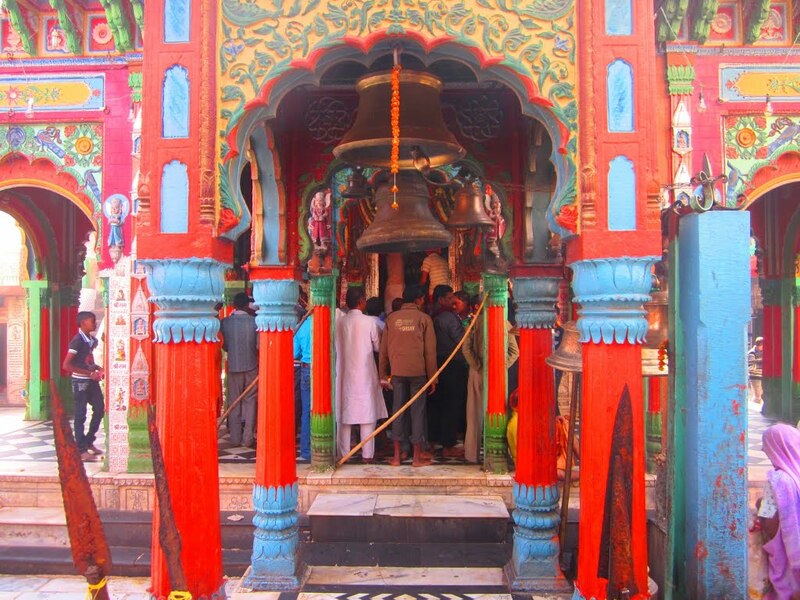 Considered to be one of the most popular “Lord Hanuman Temple” in the whole of north India is the Hanumangarhi. This temple that comprises of 70 steps is located in Uttar Pradesh in the holy city of Ayodhya. According to folklore it is said that visiting this holy Hindu temple leads to all your unfulfilled dreams turning out to be true. In addition, a statute of Mata Anjani (the mother of Lord Hanuman) with baby Lord Hanuman in her lap has been installed within the complex of this cave temple. The ideal time to visit this city is when the climate is pleasant from October to March with, the temperature ranging from a maximum of 22 degrees Celsius to a minimum of 8 degrees Celsius. This sacred town has its own railway station. The Ayodhya Railway Station is well connected to major cities like Kolkata, Delhi, Jaipur etc. If you intend to drive to Hanumangarhi Temple then the starting points located in close proximity are Lucknow and Kanpur. a. How to reach Hanumangarhi Temple from Lucknow : The shortest route to reach Hanumangarhi Temple from Lucknow is via NH27 as depicted in the map above. Alternatively, click on the Google Maps link here to view on Google Maps. b. How to reach Hanumangarhi Temple from Kanpur : There fastest route from Kanpur to Hanumangarhi Temple is via Kanpur Rd and NH27 and the route map is depicted above. Alternatively, click on the Google Maps link here to view on Google Maps. Located at a distance of 130 km the nearest airport to Ayodhya is in Lucknow. The Lucknow Airport is well connected to major cities in the country. Taxi and bus services are available from this airport to Ayodhya. According to popular folklore it is said that Lord Hanuman used to live at the site on which this temple was built. The reason being “to protect Ramjanambhoomi i.e. birthplace of Lord Ram or Ramkot” . On the other hand historically speaking the land on which this temple has been built on was apparently donated by the Nawab of Avadh. In addition, apart from its religious significance this temple is renowned for its magnificent architecture. Click on the link here to check out the places to stay near Hanumangarhi Temple, Uttar Pradesh on Google Maps.